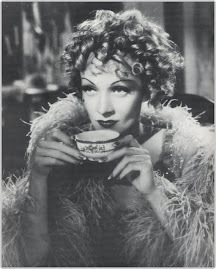 The Feast of Fabulousness Returns! 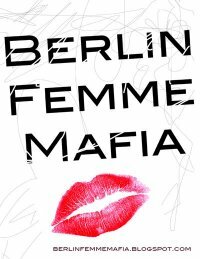 You are invited to the second Berlin Femme Mafia picnic - more fabulous than ever before and this year without the dramatic electrical storm halfway through! I've been scanning the weather forecast obsessively and can confirm that there is NO RAIN reported this year. Possibly it might get a little cloudy, but thats what frisbees are for! We are choosing Tempelhof park again, mainly because it has a barbecue area, toilets & an icecream truck. Suggestions for what people want this year include balloons, mobile makeovers, strawberry cake, frisbee, cheap sekt, dressing up (obv.s) and games! Games that involve getting messy (food fight!) games that are silly and pointless (pin the tail on the femme donkey!) and games that involve flirting (think of some!) I would also personally like a pie eating contest :) If you have any suggestions of your own, please contact us and we will do our best to make your dreams come true! The Femme Mafia will provide some food, but please bring some of your own as well. I think the general consensus is that we keep it meat free or at least have a 'discreet meat' policy. The picnic starts at 14.00 and will go on until late or until we all get too cold. * - Please consider the appropriateness of your presence if youre a straight, CIS gendered man, particularly if you do not know anyone else there! We like to be welcoming but also prefer to avoid creepy scenarios. If you are confused by this then contact us and we can advise you. Femmes und Freund_innen und Fans Willkommen! Das Ganze wird wieder im Tempelhof Park stattfinden (ehemaliger Flugplatz), es wird gespielt und gegessen (Flirtspiele und Kuchenwettessen stark bevorzugt :) Falls Ihr noch andere Vorschläge oder Ideen habt, dann nur her damit. Die Femme Mafia wird sich um Essen kümmern, aber bringt doch bitte auch selbst was mit, wenn es möglich ist, am allerliebsten vegetarisch, dann haben möglichst viele was davon. Das Picknick geht ab 14:00 los und so lange wie wir Lust haben oder wenn uns kalt wird oder oder.